Bluntisham Parish Council care about our community, our village, and our environment. Your councillors work hard to maintain our environment, and to promote the development of new amenities. We’re always looking for new ways to make things better or more cost effective. To make contact, or for any information not available on this site please contact us – for details, click here. A full list of councillors and their contact information can be found here. For agendas and minutes of all committee meetings, click here. The Parish Council Plan summarises all the ideas and projects the council have decided to action, plus some we are currently considering. You can read it here. Other documents including Accounts, Policies, Terms of Reference etc can be found here. Bluntisham Parish Council performs a range of functions to provide management of the local facilities and environment. Some of these functions it conducts itself whilst in other cases it provides feedback to Huntingdonshire District Council, Cambridgeshire County Council and National Government. Bluntisham Parish Council has direct representation on Huntingdon District Council and numerous other local organisations. But perhaps the most important responsibility taken on by the Bluntisham Parish Councillors is to maintain the public pride and civic dignity of the parish. Look around and observe your community. Most of what you see has been passionately devised, created, organised and maintained by dedicated citizens of Bluntisham who have been elected as parish councillors over many years. This can only happen with the support of the rest of the population and that may mean you, too! The Full Council usually meets on the first Wednesday of every month at 8.00pm in the Village Hall. All village residents are welcome to attend the meetings. Members of the public can speak, voice concerns and make comments during the first 15 minutes of every meeting. Please contact your councillors and ask them to raise any issue that concerns you if you’re not able to be at a meeting. Minutes are posted online here and a copy is also posted on the noticeboards in Holliday’s Road & High Street. The general business of the council is determined at regular meetings where all the councillors attend, these are referred to as “Full Council” meetings and the items on the agenda of such can be varied. Depending upon the amount of work and scale of responsibility that the council has to undertake some items of regular business, for example planning matters, are dealt with by a specific sub-committee whose meetings only address that particular subject. The number of members on a sub-committee can vary from the entire council to just a small group of councillors. The number of sub-committees created by a council is under their control and generally related to how much business that each committee has to deal with, some rural councils may not require to create any sub-committees being able to conduct all business at the full council meetings. The number of committees may vary in relation to the current workload. Details of the committees and the councillors that are current members of each committee are available from the site menu bar above under the heading “Committees”. Details of the committee meetings both past and future including their agenda and minutes (if available) are available from the site menu above under the heading “Documents”. 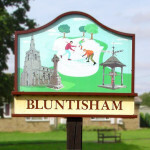 Planning applications for Bluntisham are managed by the Development Management Service (External link will open in a new window) of Huntingdonshire District Council and you may view the detail of past (from 2002) and current applications on the Public Access Information System maintained by the district council. Where possible agenda and minutes are displayed in the “Documents” section under the heading of the committee meeting to which they relate. If a particular committee is disbanded due to council restructuring this may no longer be possible in which case the archive provides access to all these documents regardless of the current status of a particular committee.